Probiotics…Support your immune system with some good bacteria. Probiotics are live bacteria that strengthen your immune system by augmenting the intestinal microbial population (the “good” bacteria in your gut). I’m not sure if you are aware of this or not but pharmaceutical drugs such as antibiotics kill both the “good” bacteria and the “bad” bacteria in your gut. This is bad because your immune system is strengthened by the presence of the “good” bacteria and once they have been killed by the antibiotics, you are at greater risk of either reinfection or other illnesses. Why should I supplement with Probiotics and how will I benefit? To maximize immune system strength and function, you need to have a high intake of probiotics in your diet. 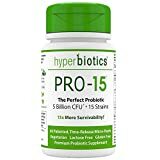 Probiotics are a “must have” as they will keep topping up the levels of “good” bacteria in your gut, increasing the strength of your immune system. Because a healthy and strong immune system is absolutely necessary if you want to fully recover from MRSA, probiotics should be an important part of your recovery strategy. This is especially important if you are currently on antibiotics or other pharmaceutical medicines to reduce the negative effect of these drugs on your immune strength. Can I get Probiotics from foods or do I need to take a supplement? There are a stack of foods that are high in Probiotics and as you would expect, they are great for strengthening your immune system. Raw sauerkraut and raw milk and yogurts are some that spring to mind immediately, but there are others. There is a diet that is specifically designed to strengthen immunity and heal the body from the inside out. It is called the Gut and Psychology Syndrome diet and you can read about it in the book of the same name. The book provides plenty of information about what foods you should be eating to increase your probiotic consumption and subsequently strengthen your immune system. In addition to food options, Probiotics can also be ingested in capsule or powder form. If you are supplementing using Probiotic capsules or powder, make sure you follow the manufacturer’s advice to ensure that the Probiotics remain active/alive. For example, many Probiotics are required to be kept refrigerated whereas others do not. In many cases this will depend on the strain of bacteria used as many of the strains will have slightly different tolerances. So….if the label says refrigerate, do so. If the label doesn’t specify, be sure to ask someone who knows, whether it be the health store owner or one of the manufacturer’s representatives. Do I need to see an doctor or health professional to get Probiotics? No you don’t but if you are following the advice in my book The Boil Bible, you will be seeing a natural health practitioner who should be able to provide you a quality supplement such as Ultra Probioplex by Metagenics. You will need a referral from them to get these “pharmaceutical strength” probiotics but there are other options. Probiotics are also readily available from most heath stores. You can also get some quality brands from Amazon at a cheaper price than most stores can offer. Do I recommend supplementing with Probiotics? Yes I do because I know from my personal experience with MRSA that a health, strong immune system is vital to a full recovery. Personally, I used Ultra Probioplex by Metagenics because that is what my Naturopath recommended for me. Be aware though, these high dose Probiotics will likely require a prescription from a licenced practitioner such as a Naturopath. If you go to a Naturopath (and I strongly suggest that you do), they will be able to suggest the right Probiotics for you.